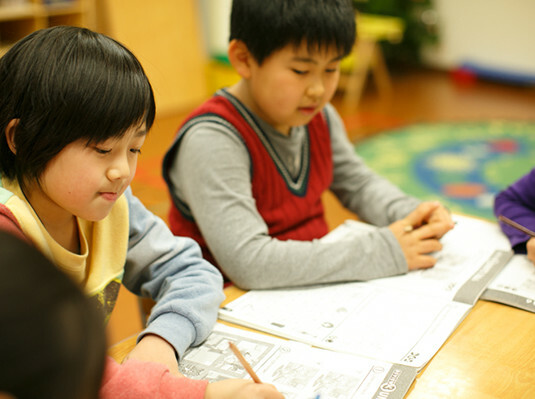 The Active Learner program develops a child's identity and allows them to become conscious of themselves. 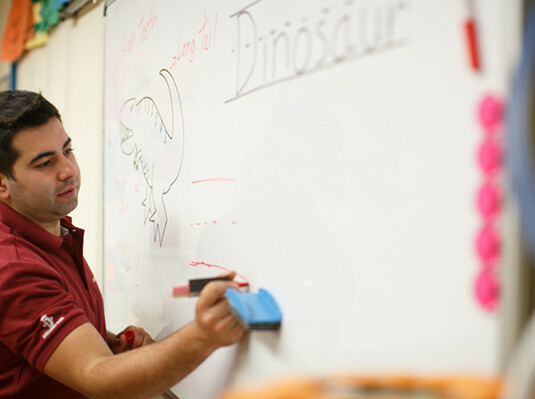 By incorporating English picture books and other materials, as well as stressing reading and writing, this course enables children to develop strong English skills. In addition, as a certified school, we provide an English course that would qualify children for the United Nations Association's Junior Test of English. The children will have an opportunity to take the test once a year from primary school. This test will be included as part of the curriculum. Through this course the children will significantly improve their current abilities and in the future use this valuable quality to become a member of the international community! 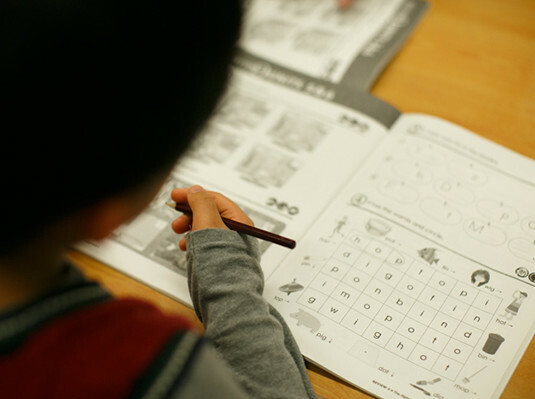 Kids are able to learn English even an adult has difficulty with. They pronounce words with ease and learn new words one after another. Therefore, this is an important time to allow kids to learn English at a natural speed. We put consideration into their physical ability, their interests and their level of concentration when putting together our lessons. 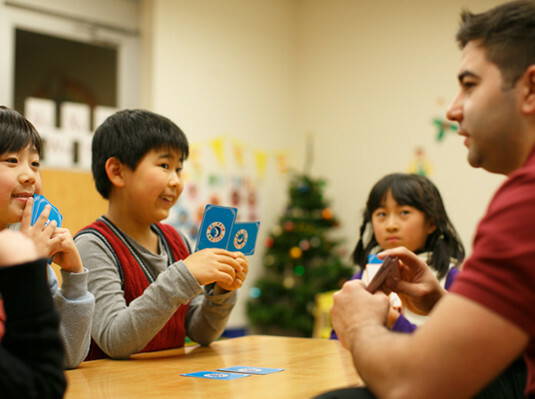 This allows them to enjoy themselves while learning English. We allow children can do plenty speaking exercises, starting with methods that allow them not to fear mistakes and also give them opportunities to do pronunciation training. Listen & act it out! Listen & sound it out!